Recent advances in hemophilia prophylaxis have raised the need for accurate noninvasive methods for assessment of early cartilage damage in maturing joints to guide initiation of prophylaxis. Such methods can either be semiquantitative or quantitative. Whereas semiquantitative scores are less time-consuming to be performed than quantitative methods, they are prone to subjective interpretation. To test the feasibility of a manual segmentation and a quantitative methodology for cross-sectional evaluation of articular cartilage status in growing ankles of children with blood-induced arthritis, as compared with a semiquantitative scoring system and clinical-radiographic constructs. 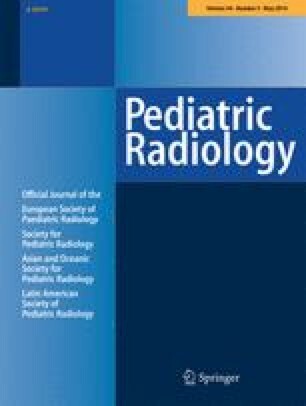 Twelve boys, 11 with hemophilia (A, n = 9; B, n = 2) and 1 with von Willebrand disease (median age: 13; range: 6–17), underwent physical examination and MRI at 1.5 T. Two radiologists semiquantitatively scored the MRIs for cartilage pathology (surface erosions, cartilage loss) with blinding to clinical information. An experienced operator applied a validated quantitative 3-D MRI method to determine the percentage area of denuded bone (dAB) and the cartilage thickness (ThCtAB) in the joints’ MRIs. Quantitative and semiquantitative MRI methods and clinical-radiographic constructs (Hemophilia Joint Health Score [HJHS], Pettersson radiograph scores) were compared. Moderate correlations were noted between erosions and dAB (r = 0.62, P = 0.03) in the talus but not in the distal tibia (P > 0.05). Whereas substantial to high correlations (r range: 0.70–0.94, P < 0.05) were observed between erosions, cartilage loss, HJHS and Pettersson scores both at the distal tibia and talus levels, moderate/borderline substantial (r range: 0.55–0.61, P < 0.05) correlations were noted between dAB/ThCtAB and clinical-radiographic constructs. Whereas the semiquantitative method of assessing cartilage status is closely associated with clinical-radiographic scores in cross-sectional studies of blood-induced arthropathy, quantitative measures provide independent information and are therefore less applicable for that research design. This study was supported by a salary award given to Dr. Andrea S. Doria through the Canadian Child Health Clinician-Scientist program. This study was funded by Bayer Healthcare Pharmaceuticals, Canada. We thank Susanne Maschek from Paracelsus Medical University, Salzburg, Austria, & Chondrometrics GmbH, Ainring, Germany, for segmentation of the MR images for the purpose of quantitative measurement of cartilage morphology. 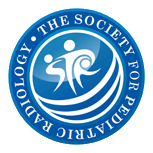 A scientific paper on the results of this study was presented at the 2012 Society of Pediatric Radiology meeting, San Francisco, CA.